During the last several days, thousands of images have been published of the new Pontiff – His Holiness Pope Francis I. Hundreds of stories have been written about his simplicity and lowliness. But there is one image that strikes deep in my heart – the black shoes! A Pope should wear red shoes. In fact, even before the Conclave began, inside the room of tears, there were several sizes of red shoes ready to be worn by whoever will be elected as Pope. After His election, Pope Francis did not wear any of those but continued to wear his old black shoes. A very fitting reminder for us mortals to remain lowly at all times. Tomorrow, 19 March 2013 is the Inauguration of Bishop of Rome’s Petrine Ministry. He might start wearing the red shoes but it does not make much difference anymore. 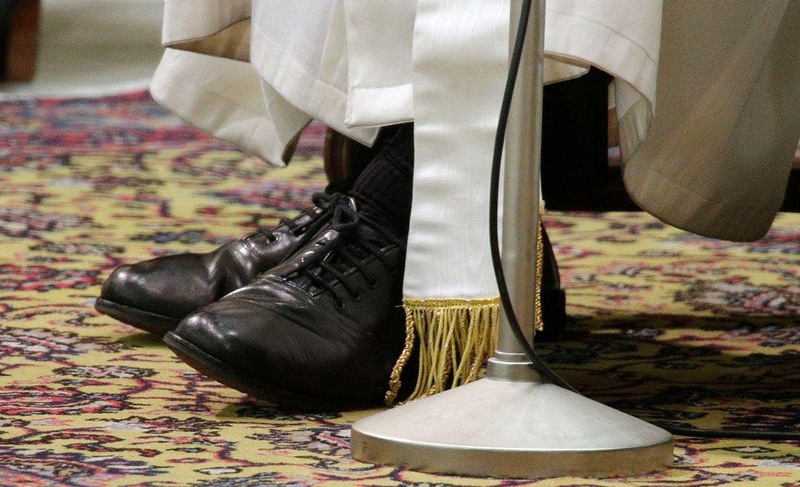 I shall forever remember that at the first hour of His Pontificate, when the whole world was watching and applause across the globe were given to Him – he was the Pope who was wearing old black shoes. May the image of his black shoes accompany me in my prayers and reflections in this period of Lent. May His motto, ‘miserando atque eligando’ which means lowly but chosen bring us inspiration everyday of our lives, Amen. God bless us all.